Service Electric’s Hosted PBX service platform supports many of the industries most popular SIP endpoints. With all technologies, features and functionality can vary from manufacturer. We have provisioned, tested, and utilized these phones in a day-to-day working environment to ensure a reliable user experience. We are providing our assessment solely as a reference to assist you in determining the exact phone for your business environment. 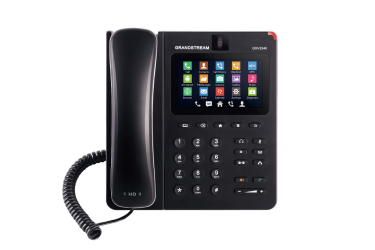 The Yealink VP530 is a further innovation of our advanced, executive-level IP Video Phone. With integrated audio, video and applications, the VP530 is a very powerful business video phone. Its large display and easy use make it an ideal all-in-one tool for today's busy business leaders, regardless of were they happen to be.